Thank you for attending the fist Shakuju Therapy Seminar in Hawaii! Thanks to Tisha, who organized this workshop, thanks to Mr. Stephen Brown as a fluent interpreter with full of passion for Japanese acupuncture, thanks to Rande who helped Tisha to prepare for the seminar, and thanks to all the attendees who came from all over the states and Australia, the three days seminar was completed successfully! 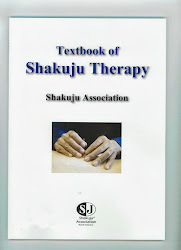 During the seminar, the morning session began with a lecture of Shakuju Therapy and the demonstration of Shakuju Therapy by Kobayashi Sensei, then in the afternoon the attendees were divided into 8 groups and practice BL 40 insertion and learn the procedure of Shakuju Therapy. We hope that this seminar gave you some inspiration in your acupuncture practice and understanding. We are looking forward to meeting you at Pacific Symposium 2012 in November at San Diego!! !